The exact definition of "madness" remains elusive. There are difficulties in distinguishing the criminal from the mad or, more euphemistically, the mentally ill. Controversy has centered on the frightening potential possessed by the state to deprive of his rights the individual officially classified as mad. In this book, Wing, a psychiatrist of international repute, argues for a limited medical definition of mental illness, although he explains how even a doctor's professional judgment may often be influenced by social pressures. He compares concepts of madness prevalent in different types of society, examining, for example, the Marxist attitude towards the deviant in a socialist state. In a chapter which draws much from his own experience, he shows precisely how the apparatus of state medicine is used to suppress political dissidence in Russia. He also critically reviews the petty tyrannies prevalent in the West and tackles the difficult analytical problem of schizophrenia, a subject on which he is one of the most respected medical authorities. 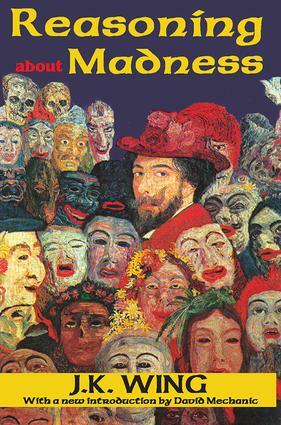 Reasoning about Madness is an original and important work in which the author successfully resists the temptation to erect "grand theories that explain nothing because they attempt to explain everything." Instead, he concentrates on developing a definition of madness which strikes a balance between the benefits of medical care and the preservation of human liberties.